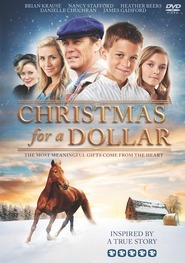 The Christmas Dragon from Deseret Book on Vimeo. Medieval Europe - Father Christmas is a fading memory, after Christmas hasn’t come for several years. A young orphan girl, Ayden, receives a magic crystal from a dying elf, with a warning that the North has lost its magic, and that she alone can save Christmas. Ayden and her orphan friends begin a perilous journey, and must escape dragons, goblins, bandits, ogres and other fantasy creatures as they team up with Airk, the wayward son of Father Christmas, to return a stolen Christmas orb to the North. When Santa’s magic cannot overpower the growing Snarl (an evil forest with tentacle branches), Ayden and Airk must deliver Christmas on a sleigh pulled by a young dragon, fulfilling Christmas wishes for children to restore Santa’s magic and save Christmas. EXCEL ENTERTAINMENT is the preeminent independent film distribution company in Utah, and though largely known for its Mormon-themed films (God’s Army, The Work & the Glory series, 17 Miracles, Pride & Prejudice, etc. 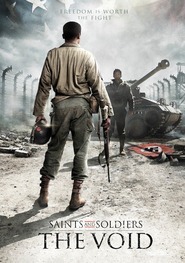 ), Excel has also had success releasing films with non-Mormon themes and stories (Forever Strong, Saints & Soldiers, etc.). Although the technology and means by which audiences consume films is changing rapidly, the demand for highly creative storytelling that motivates us to live up to the light that each of us has been given is as high as ever. We feel a deep obligation to not only bring stories of hope to the world, but to promote films with high standards of craftsmanship reflective of a belief in a divine and benevolent creator. Really bad acting. Really bad. Our Family's Favorite New Christmas Film! If you're like me, you've seen the old Christmas movies a hundred times and you want something new. I'm here to tell you, this movie is the answer! And if you haven't seen this movie yet, now's the time to try it out. 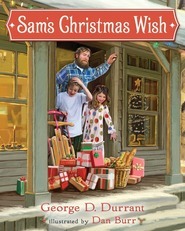 This instant Christmas classic is fast paced, full of action, drama, magic, mystery, and romance. We had the whole family over for Thanksgiving last year, and we showed this movie in our basement theater after dinner. Everyone remained glued to the screen. It may have been due to the huge dinner, but the magic of this film captured our attention. The kids were all jumping up and down during the action parts (and smelling up the room!). I will admit that some of the youngest were scared at first by the dragon, but soon wished for dragons of their own (too bad they don't have play sets and action figures from this film). Even the grandparents were whooping it up (and also smelling up the room). Thank goodness for holiday candles! My brother has always been a skeptic about films found at Deseret Book. Not any longer. He kept talking about how cute Eve Mauro is (she plays Aesa in the movie). Finally, after the movie had ended and everyone had left the room, my brother made me watch the film again. And you know, by golly, he was right! Eve is darling. And all I have to say is that she filled her parts (and outfits) in all the right places. Poked through them, if I may be so bold. Beyond Eve, the whole cast is great! This will be watched by our family again and again, especially by my previously skeptic brother. Sorry, but typically we enjoy movies from Excel and Deseret Book. We rented this as Redbox and watched it last night. My 14 year old who is very into Fantasy novels and movies had to get up and walk out saying that he was extremely bored. I was constantly saying, "Now what happened? What's going on? I don't understand. ", because my mind was wandering or I was dozing as it just wasn't keeping my attention. My wife commented after the movie that she didn't really care for the movie at all before I even told her my opinion and then we both laughed. My 6 year old was in full on tears within the first few minutes of the movie when the parents died and later I was lucky he had fallen asleep when the orcs showed up. This is not a movie for a child under 8 years old in my opinion and will bore you to death if you're used to Lord of the Rings or Home Alone or even Cokeville Miracle quality films. Wow! We just finished watching this movie with all of our family (including grandparents, aunts, uncles, everyone) at the conclusion of our annual Christmas party. And what a way to end the party! This was a wonderful and highly entertaining adventure. And to think this was produced locally by Excel. Again, Wow! This film seemed like a combination of some of the most successful recent adventure films all rolled into one. Yes, there are some tense moments with scary creatures, but the tie in to Christmas made the whole film worthy of including in our staple of family holiday favorites. You can't go wrong with this film. It has all aspects necessary for the making of a great film: drama, adventure, fantasy, tradition, Christmas, comedy, and a bit of romance as well. I'm so glad this movie was available before Christmas. My kids are huge fantasy fans, and although they're a little too young for the Lord of the Rings and The Hobbit, they watch and play the Lego versions all the time, and they've watched How to Train Your Dragon endlessly. Anyway, it was so great to find a fantasy film the whole family can watch together, and at Christmas time too. This film is heartfelt, and lots of fun. It's so full of imagination, wonder, and a great Christmas message too.